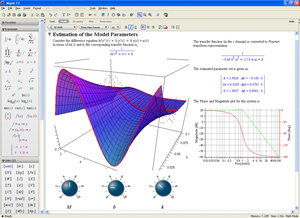 Maple is a commercial computer algebra system. It was first developed in 1980 by the Symbolic Computation Group at the University of Waterloo in Waterloo, Ontario, Canada. Since 1988, it has been developed and sold commercially by Waterloo Maple Inc. (also known as Maplesoft), a Canadian company also based in Waterloo, Ontario. The current major version is version 16 which was released in March 2012.